Click on the image (left) to read an vivid description of the Chinese Labour Corps arriving at British Camps and completing their identity cards. Download an excellent overview of the Chinese Labour Corps written by Tony. In Chinese and English. We have a digital copy of an amazing book about the CLC. Thank you to Charing Cross Library London for sending us the book. We hope to track down the authors during this project. The book is available for groups or individuals at the Hikmat Office. Thanks to Tony the project has a ORIGINAL piece of Chinese Labour Corps art work. Created by a member of the CLC on a spent shell casing, this amazing object shows an etching of a Chinese dragon on a turn of the century ordinance. At the moment we are left wondering where it was made and by who? Perhaps someone will find out. 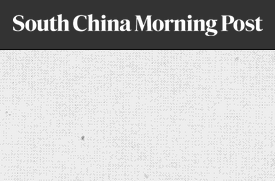 In a special report, the South China Morning Post traces the CLC story from rural Shandong to the Europe and back through archive photos, eyewitness accounts, maps and news articles published in the Post at the time, when the Hong Kong paper was only a decade old. This is an amazing collection of information and images.